With Oregon winters come snow, rain, more rain, and MUD! The best way to enjoy this sludgy and shoe-sucking part of nature is to run through it! Named as one of the top Oregon trail races by Runner’s World, the Oregon Road Runner’s Club hosts the Hagg Lake Mud Runs Ultra 50K and 25K on February 17th and 18th, 2018. The Ultra 50K will be held on Saturday and the 25K will be on Sunday of that weekend. Both races start and finish at Boat Ramp Pavillion C and follow along the gorgeous trails surrounding Hagg Lake. Because this is a trail run, which can cause congested running, this race has a 3 mile out and back for the 50K and a 1 mile out and back for 25K on a gravel road to reduce the congestion on the trail. At the end of these out and backs is a clothing dump area so you can shed some layers before hitting the muddy trails. Along the course will be several well-stocked aid stations. However, this is a cup-free race, so carry or wear your beverage holder. The aid stations will be full of food including peanut butter and jelly sandwiches, gummy bears, oranges, and more. When you finish the race, you are rewarded with socks and a medal. They have warming booths to change into clean clothes and to warm-up. There will also be a post-race meal that includes grilled cheese sandwiches, soup, and tons of other delicious foods. 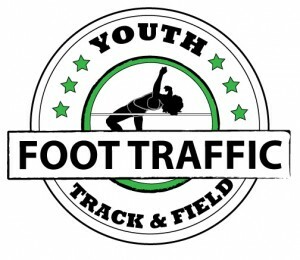 The top 3 Submasters (Under 40) male and female and top 3 Masters (Over 40) will receive awards. There will also be a raffle drawing for other prizes. There is an option to do both the 50K and 25K, in which case you will receive a growler full of beer, cider, or rootbeer. 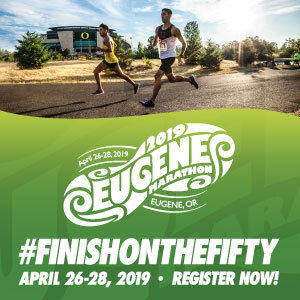 Since this race is put on by the Oregon Road Runner’s Club, members save $10 on registration. The race does fill up and there is a waitlist after that, so sign up soon to get muddy and dirty around beautiful Hagg Lake!